When it’s time to make a meal, my first inspiration is often not the foodstuffs I have hanging around in fridge and cupboards, but rather the sort of cooking technology I really want to use. “Time to take my cast iron skillet for a run,” I tell myself. “It’s been awhile since this baby has laid some rubber on my kitchen stove.” What I end up cooking is determined by what this skillet has always delivered up well. It cooks a fluffy frittata, a glistening braised pork chop and caramelized apple dish, and a no-fail lemony chicken piccata. And I’m off to the races, or the grocery store if necessary. Sure, I’ve fallen victim to some new-fangled contraptions– like most cooks. But these fancy and specialized devices end up as rejected clunkers because I can’t master the mechanics, or I struggle assembling or cleaning all the pieces. In reality, I lose interest because they simply fail to inspire good dishes. Cooks look for cutting edge tools, but not necessarily because they are uber-efficient or impressive gizmos. A truly great piece of kitchen technology invigorates the cook and gets the creative juices flowing. One look at that gorgeous pot or paring knife can coax any cook to turn on the burner and rattle those pots and pans. 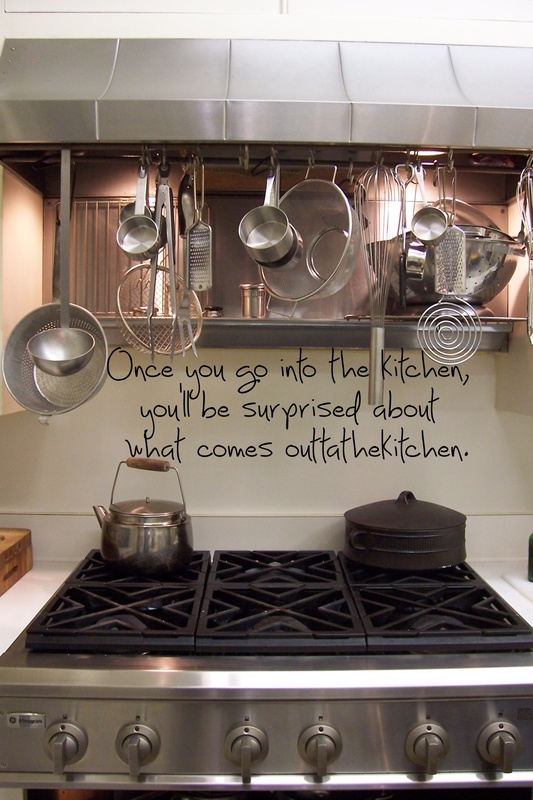 What tools in your kitchen inspire your cooking? Tell OTK about your go-to kitchen technology and the memorable dishes you have created with it. I have a set of colorful kitchen knives I love! Something about each knife being a different color for a different purpose makes me want to chop, chop, chop, with a smile! My potato peeler is over 25 years old and looks like hell but it’s really the best I’ve ever used. I’ve tried to replace it multiple times but none have done a good job. We’ll be best buds forever. But, I’m really interested in giving my peeler a companion….that funky potato peeler of yours that also makes julienne strips would be a wonderful addition to my gadget drawer. Where did you get it and what is the brand name? Thanks!!! Color coded knives seems like an excellent idea and inspirational, too! What do you cook with the red one, for example? I like the OXO Good Grips products. They are really not expensive, but seem pretty well engineered for most home cooks. Since I have broad hands and chubby fingers, this peeler is great. 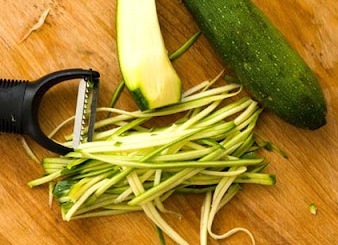 It makes substantive julienne strips, and that is what you need for the pasta dish– not skinny, transparent juliennes. Lots to chose from, yes? And there are reviews,too. Thanks for stopping by OTK, Alicia. See you back here soon. Let us know how this healthy and low cal recipe turned out for you. The red one is my 6.5 inch Santoku knive, the do-it all and use most knife of the set! 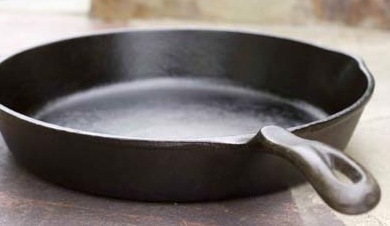 So it’s not what inspires me to cook but rather the tool I use the most to cook. I use it more than my 8 inch Chef’s knife because is smaller and more comfortable for me to use because of my small hands. Thanks for the link, I’m getting myself a julienne peeler! I have a beautiful chef’s knife I bought with my first ever paycheck working in a restaurant. Just looking at the waves of the damascus-style steel, the black wooded straight (yet ergonomic) grip, and the paper-thin edge makes me excited to slide its magnificence through an onion or a big slab of meat. You actually enjoy chopping onions? You ARE a student of the culinary arts. Do you own a pair of onion goggles? They are an excellent example of silly kitchen gadgetry. Who ever thought up those? I actually have a pair that a client gave me. They work– as long as they don’t fog up. Knives are certainly a great inspiration for getting down and dirty in the kitchen. Wielding them is fun, eh? Knives, don’t get me started. Hubbie swears by his old French non-stainless-steel knives and refuses to use my Japanese stainless steel beauties. He fusses over his knives and insists that if any of us touch them we have to rinse, dry and replace. No leaving in the sink. Quite right of course. I don’t think they maintain an edge any better than my Jap. ones. The only real tool that inspires me is – the blender! Cold soups, hot soups, dacquiris, smoothies, sauces… I have small and large blenders so I don’t keep having to wash the big one for little amounts. That oxtail stew has me whining. Cooks are truly obsessed with their knives. Treating another cook’s knives with care is a sign of respect between chefs, I’ve learned. Your blenders sound mighty busy! I like making hollandaise sauce in mine, and pop-overs, too. I guess it is cheating, but it’s always fun to watch the mixtures come together so nicely. Would love to hear about and have you post some of your favorite blender-inspired meals/snacks/beverages, Pam! The oxtail stew has now become an indecently rich soup with rice and lentils. Gah. How long can I make it last? In one of her books, my kitchen house goddess Julia Child wrote that, after her first few shows on WGBH, her producers begged her to use more tools. She was doing so much with her bare hands that it was freaking the audience out. My favorite implements are the simplest: the big knife, the cast iron skillets, the sharp-edged metal spatula, the heavy roasting pans. One little gadget that pleased me was my nutmeg grinder, a pepper grinder-like glass and metal thing that held a single nutmeg and produced perfect shavings with a simple twist of the lid. My mother gave it to me as a birthday present a quarter century ago. It was an expensive gew-gaw and I would never have bought it, but loved having it. Ergo, the perfect gift. Unfortunately it ended up in the wrong box when my first wife and I divorced. Love that anecdote about Julia. Your go-to gadgets are wonderfully basic, too. Sweet and personal memory of mother’s nutmeg grinder– I have one in my gadget drawer, and now I think I might want to give it a go in a batch of bread pudding! Thanks, Callowman. I don’t like having a lot of gadgets around, but I have a few tools that I’ve acquired because they simplify things enough to remove a potential creativity speed bump. Example: I recently bought a Donvier yogurt cheese maker. It’s a plastic container with a nested fine-meshed screen inset and a lid. You throw some yogurt in, cover it, put it in the fridge, and let it do it’s thing. No messing with cheese cloth etc. It makes it so easy to keep yogurt cheese on hand! Anything that yields the desired outcome, is an easy clean up, and most importantly encourages enjoyment and cooking with the end product is a great and wonderful kitchen gadget. What do you make with all that fresh yogurt cheese? Share some of your recipes, Kirsten.